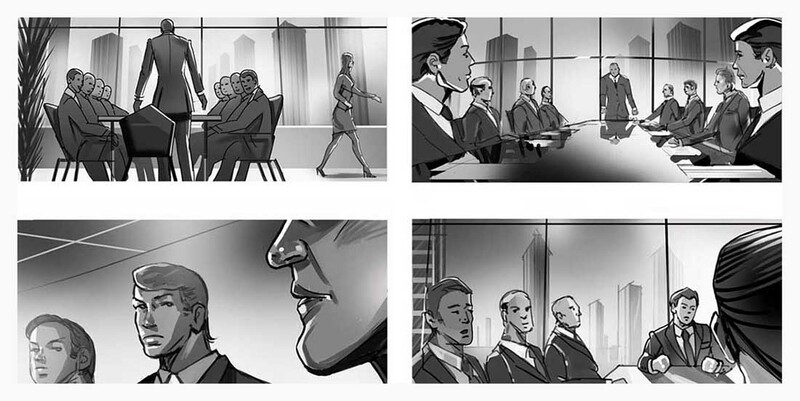 Black & white Storyboard provide a quick turnaround when the time is tight for the production meeting. 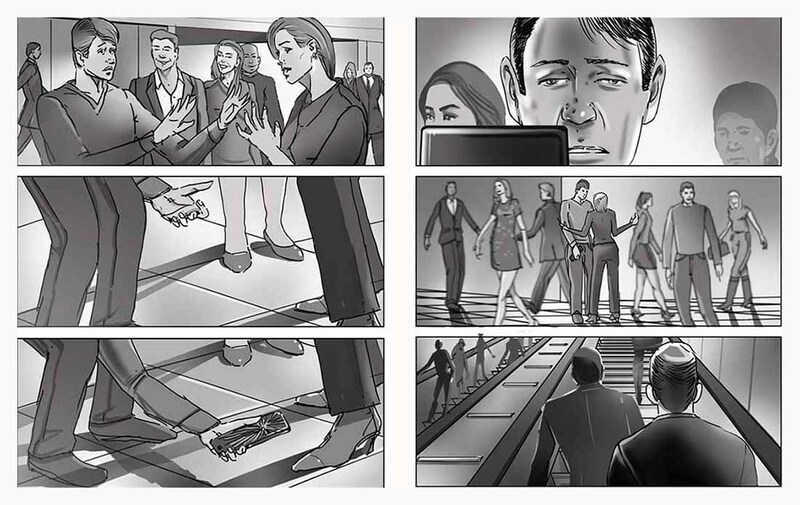 B&W storyboards are ideal for feature film or TV commercials, or any other project which requires a strong focus on sequential drawing. 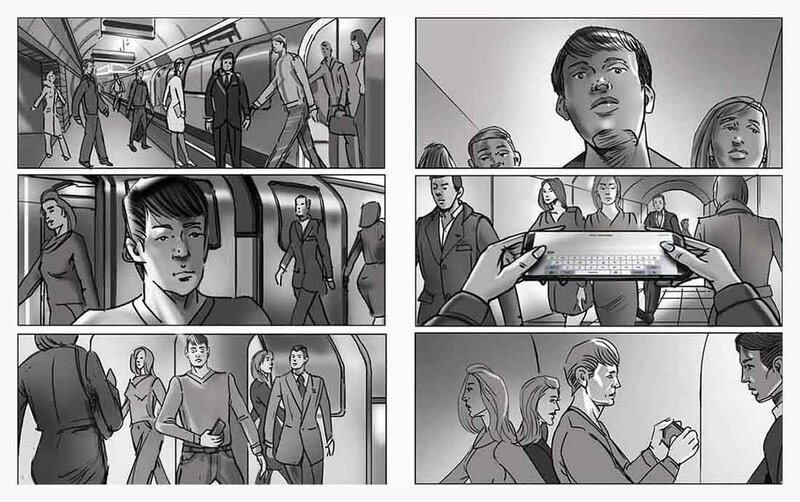 The boards displayed below present different options for a quick executions: line drawing, tonal value (monochrome) or shaded boards – which are delivered for animatic or pre- production purposes. The black & white frames below are executed for developing an online commercial for a man beauty product. The online film enclosed below, it features a playful 45 seconds parkour chase 8 bit graphic video-game battle. 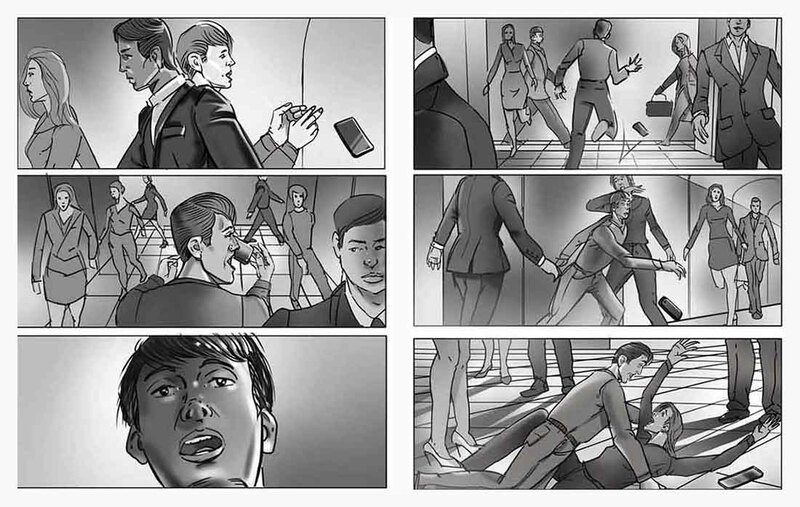 The sequential frames below communicate clearly action scenes and dynamic shots suggesting the camera movement without an unaesthetic excessive use of arrows symbols on the frame. The clean and essential linework outline precisely the boards, which have been commissioned for a TV commercial animatic client’s presentation. The shaded line drawings enclosed below delivers a strong identity to the narrative of the storyboard, emphasising the mood of the script and conveying expressiveness to the character’s personality.